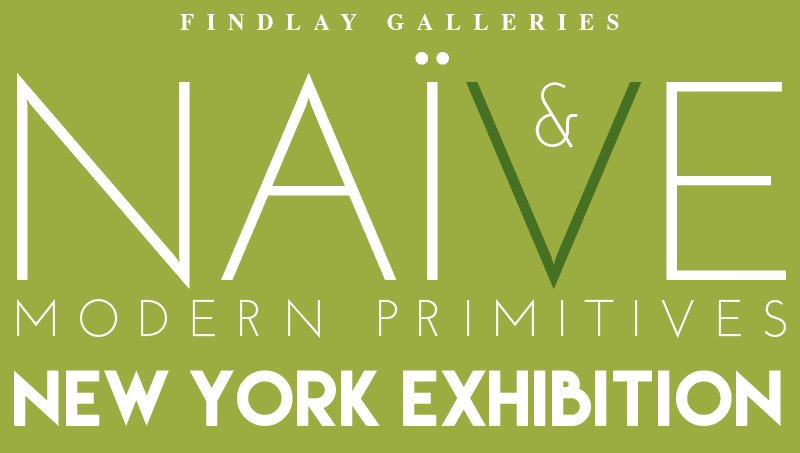 Findlay Galleries is proud to present our December New York exhibition, Naïve and Modern Primitive Painters, featuring works by gallery artists Henri Maik, Camille Bombois, Annette Ollivary, Gustavo Novoa, and Orville Bulman amongst others. Since wall paintings revealed animals and fauna in the prehistoric caves of Lascaux, the spirit of Naïve painting has existed. Ages later, in 1885, French pointillist painter Paul Signac became aware of the talents of Henri Rousseau and helped the artist exhibit his paintings throughout Paris. 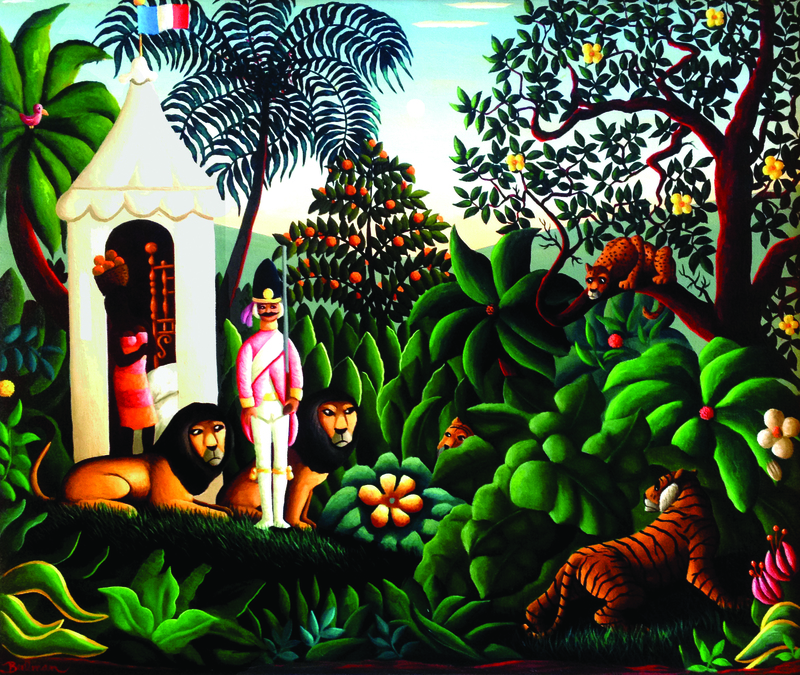 Rousseau’s seminal works influenced a future generation of artists who desired a primitive freshness in their work. As modern living reached all continents in the 20th century, the world found there was no better remedy to combat the outside world than the childlike simplicity of the Naïve painters. Findlay Galleries has valued and presented the work of Modern Naïve painters since Walstein C. Findlay Jr. (Wally) expanded the company with his first Chicago location in 1931. 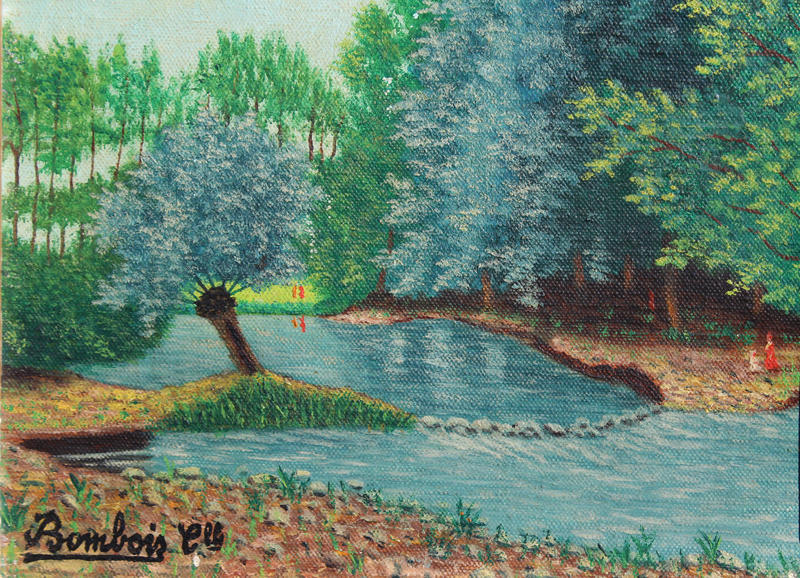 The original selection of works by Rousseau and Bombois eventually expanded to include contemporary artists such as Maik, Novoa and Ollivary, among others. 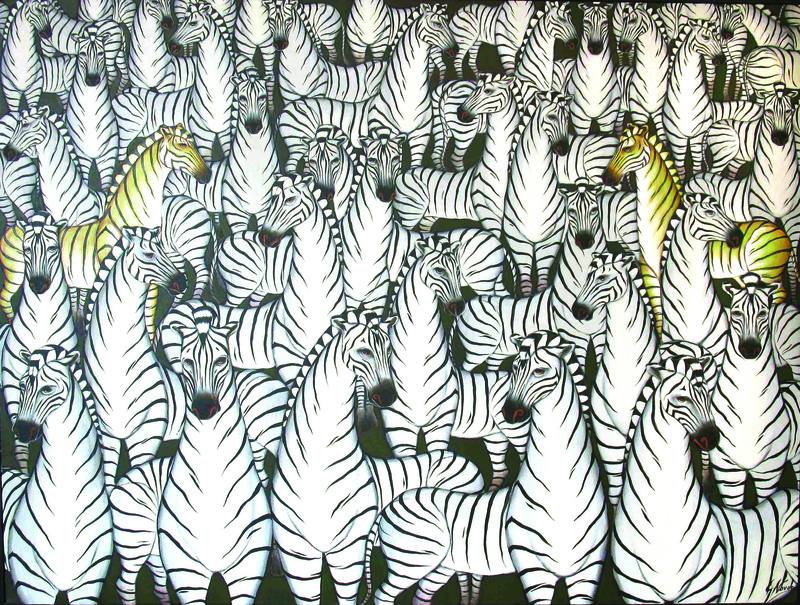 This new group used the naïve style of painting as a means to create art outside traditional realms. 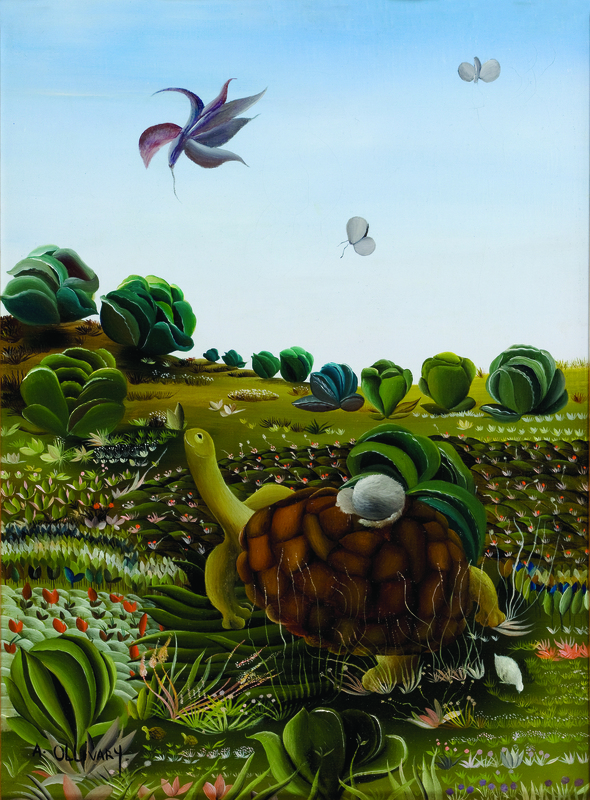 Objects, landscapes and creatures exist in an everlasting Eden. 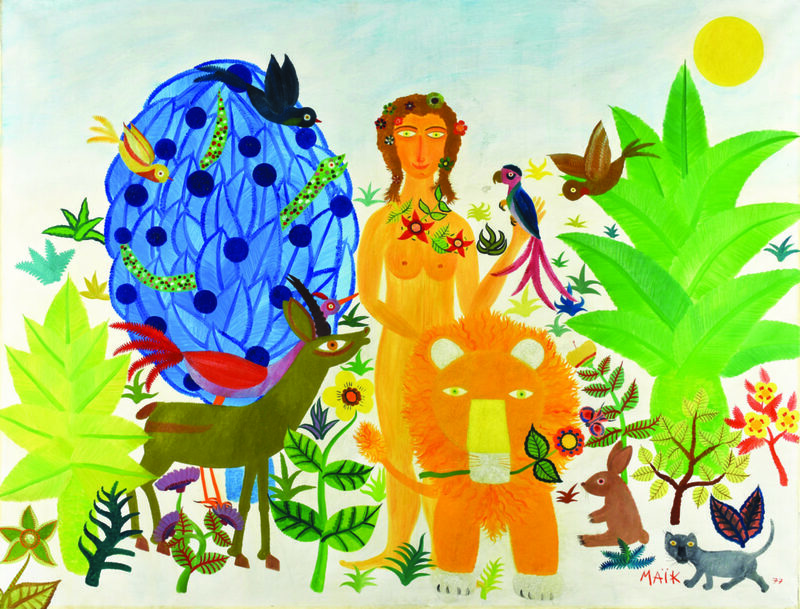 Paintings are often dreamscapes, the terrain lush with fields of simple flowers, exotic trees, rare birds and the beasts of the jungle. The subjects evoke the initial expression of “primitive” or “naïve” but every line, every stroke of the brush, exhibits true craftsmanship through a manifest sense of composition, expressive use of color, and solid foundation of design.